Before summer is officially over, I thought I’d slip in another “summer recipe”, although, truth be told, we eat this all year around! These Jerk Pork Lettuce Wraps are very easy to make and can be made ahead of time in the crockpot. Also, they are gluten-free, Paleo, lowfat and sugar-free. The ingredients for these are simple and easy, I often have everything I need on hand and just need to buy the pork at the market when I’m there. Add this to one of your favorite, easy crockpot recipe files. Crushed red pepper or any hot sauce you have on hand. *You can grab a freezer bag and throw your onion scraps in there and put them in the freezer. They can be used to make vegetable stock later. 2. 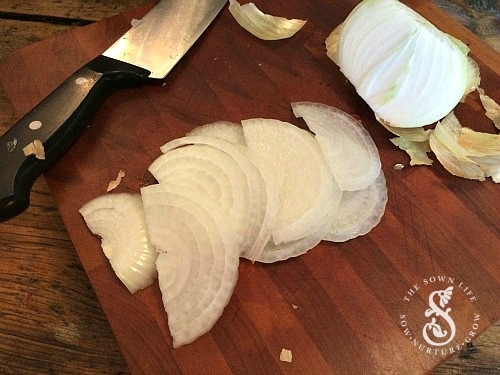 Layer the bottom of your crockpot with the sliced onions and turn crockpot on low. 3. 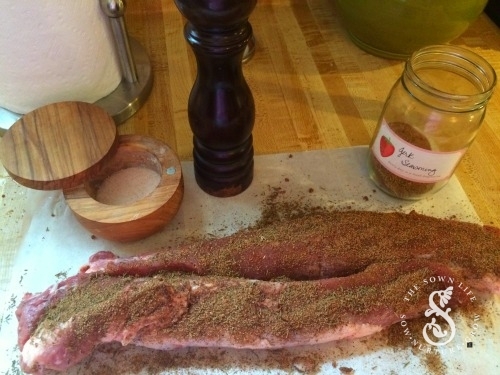 Coat your tenderloin thoroughly with salt, pepper and the jerk seasoning. I use my hands for this, massaging the seasoning into the meat. 4. On medium-high heat, coat saucepan with desired oil or pan drippings. 5. Once the pan is hot, brown all sides of tenderloin. Don’t be speedy with this process because this is how you get good flavor in your dish. 6. Remove pork from the saucepan and lay it on top of the bed of onions in your crockpot. 7. 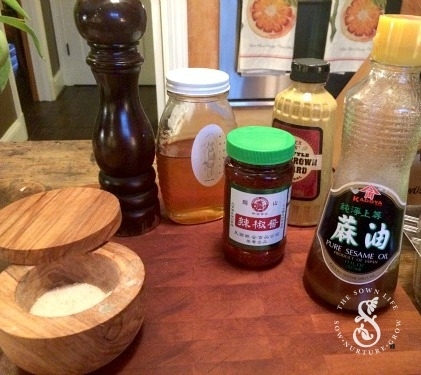 Combine mustard, several drops of sesame oil and raw honey. Now is the time to add a little heat. 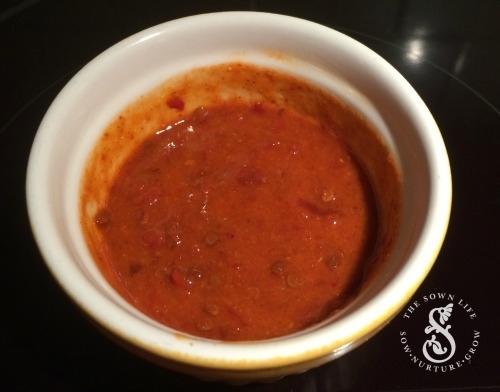 Sambal Olek is fairly spicy so a little will go a long way. I use quite a bit in my sauce since I really enjoy spicy food. Take it slow until you find the right formula that has the level of heat you desire. 8. Divide your lettuce into individual leaves, rinse and dry. 9. Place a lettuce leaf on your plate, layer with some shredded pork, some slaw, and drizzle with the desired amount of sauce. This dish is so easy! I like to serve my pork with a layer of coleslaw which does a great job of balancing out the heat from the chili sauce. You can make this in a mini form and have a great showstopper as an appetizer at a dinner party. You can even let your friends build their own. Give it a go and try some different variations in your kitchen. If you have leftovers they can be used in an omelet or mixed with some scrambled eggs for breakfast. 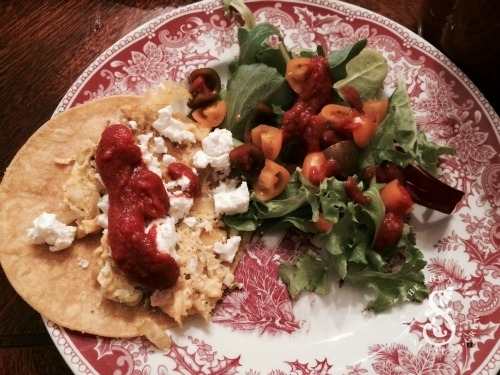 A real favorite of mine is a pork and egg taco topped with chili sauce and crumbled feta. Remember, preparing and serving delicious food is an incredible act of love so dive in and give it your all! 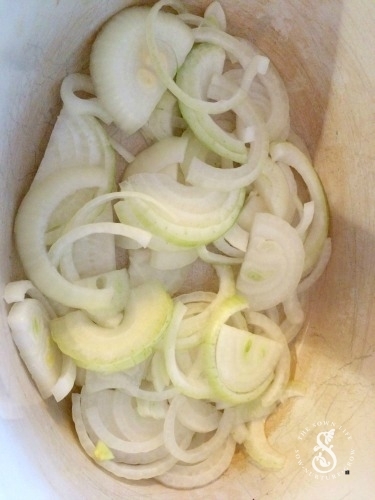 Slice onions and layer on the bottom of your crockpot, turn crockpot to low. Coat the tenderloin with salt, pepper and jerk seasoning. I use my hands for this, massaging the seasoning into the meat. 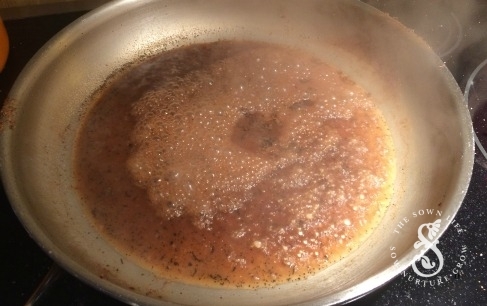 On medium high heat, coat saucepan with desired oil. 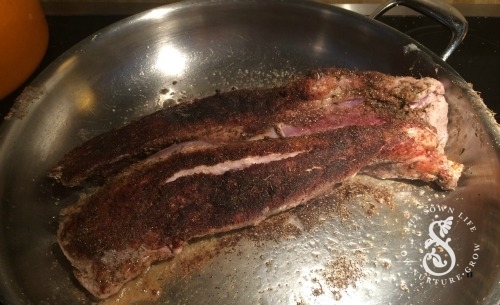 Once the pan is hot, brown all sides of the tenderloin. Don't be speedy about this process as this is how you get good flavor in your dish. 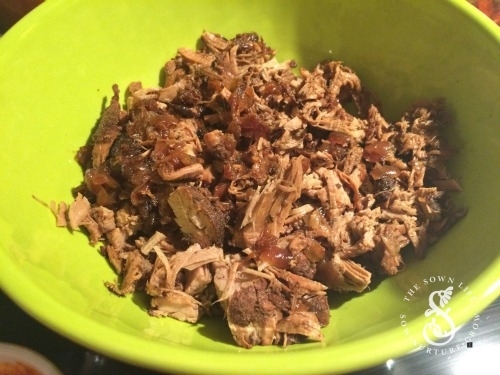 Remove the pork from the saucepan and lay it on top of the bed of onions in the crockpot. Deglaze the saucepan with beer, wine or stock. Let it foam up in the pan until all the yummy brown bits are lifted from the bottom. I use a wooden spoon to help this process along. Then pour this mixture overtop of the pork in your crockpot and close the lid. Check in about 4 hours, and when the pork shreds easily you know it is done. Time will vary depending on your crockpot. To make the sauce: Combine the Sesame oil and Honey, add the Sambal Olek for heat. Sambal Olek is fairly spicy so add according to your tolerance and taste. 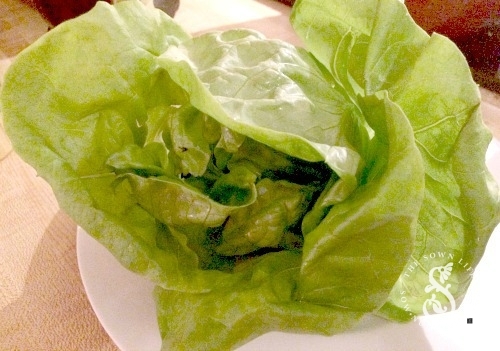 Divide lettuce into individual leaves, rinse and dry. 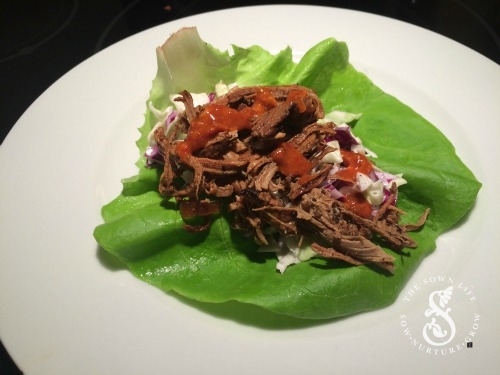 Place lettuce leaf on your plate, add pork and sauce and some slaw if you have it. Enjoy!